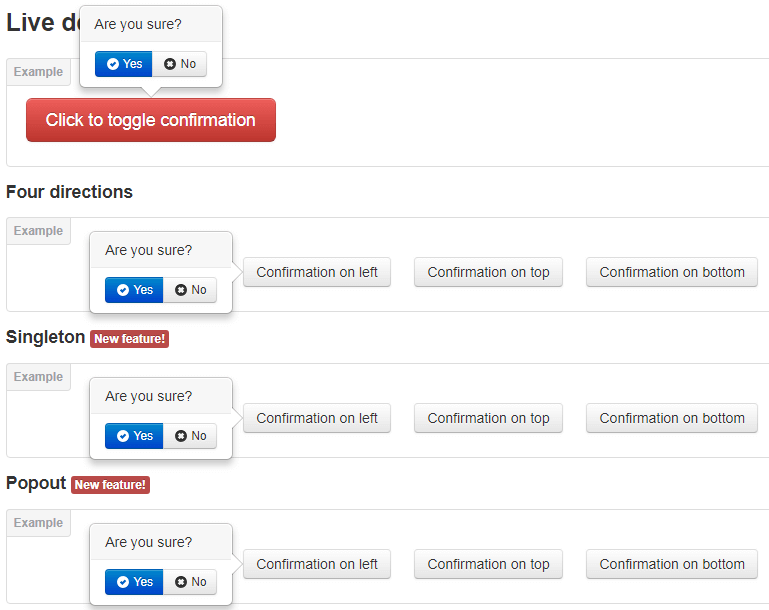 We are building a cross-browser, custom confirm dialog in the form of an easy to use jQuery plugin. 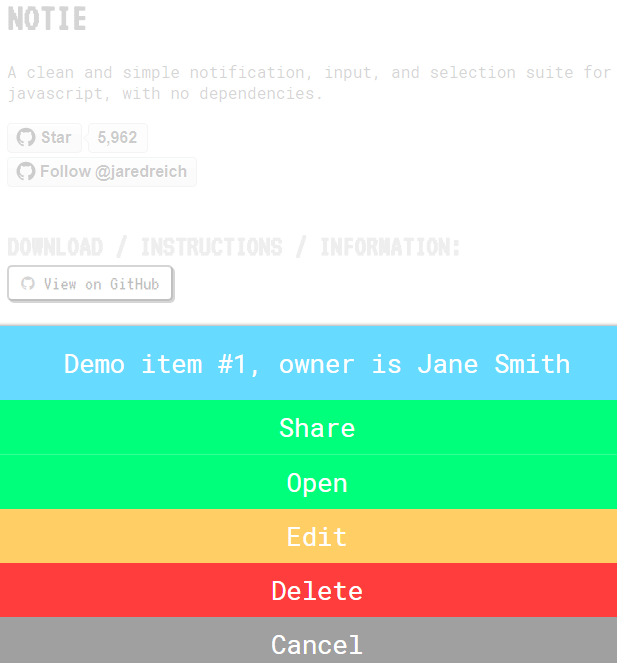 You can choose the text, buttons, and actions that will be executed when they are clicked. 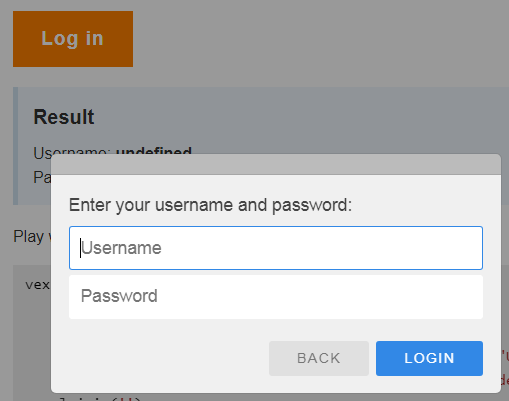 Bootstrap Confirmation is a jQuery plugin for Twitter Bootstrap. 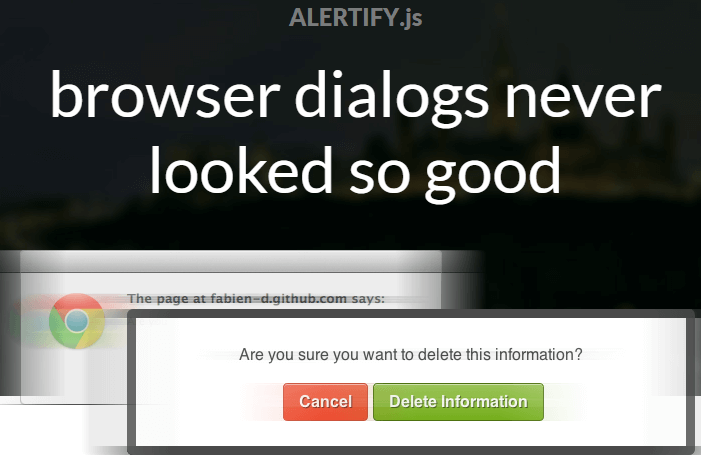 Use Bootstrap Popovers as confirmation dialogs. Simple and easy. 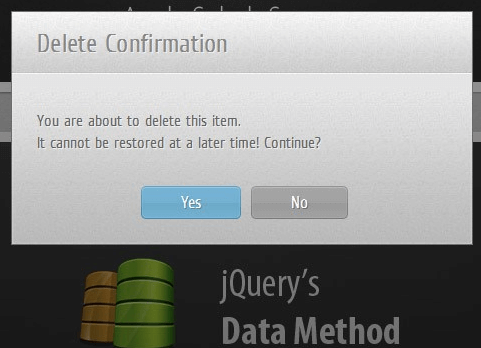 darktooltip is a simple customizable jquery tooltip plugin with confirm option and effects. 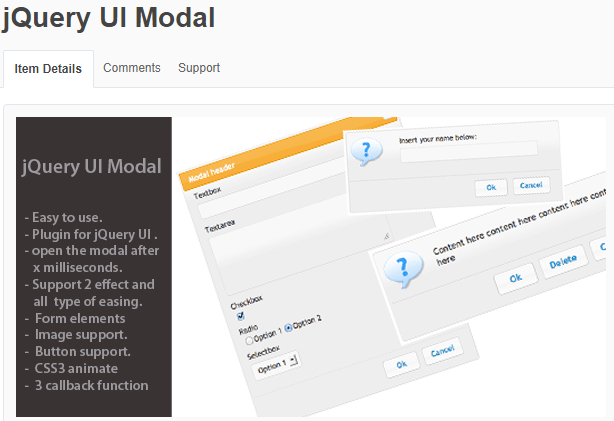 This jQuery plugin is included Alert, Confirm, Prompt, Notification and Four creative themes. Easy to use and configure. 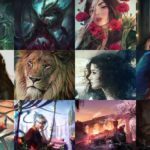 Vex is a modern dialog library which is highly configurable, easily stylable, and gets out of the way. 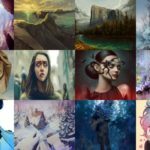 You’ll love vex because it’s tiny (6kb minified), has a clear and simple API, works on mobile devices, and can be customized to match your style in seconds. 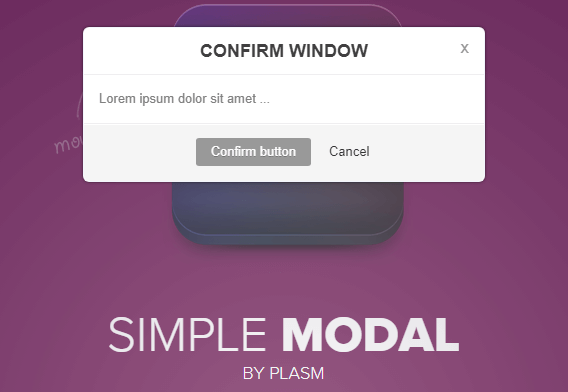 SIMPLEMODAL is a small plugin to create modal windows. It can be used to generate alert or confirm messages with few lines of code. 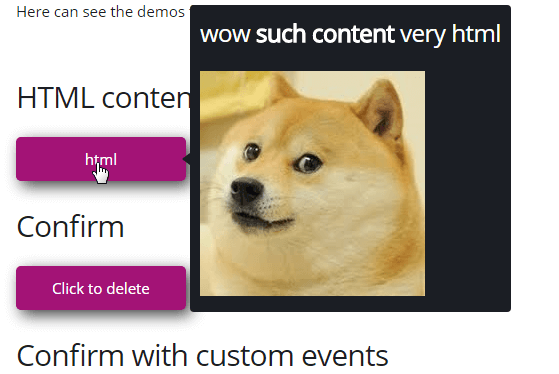 Confirm configuration involves the use of callbacks to be applied to affirmative action; it can work in asynchronous mode and retrieve content from external pages or getting the inline content.SIMPLEMODAL is not a lightbox although the possibility to hide parts of its layout may partially make it similar. 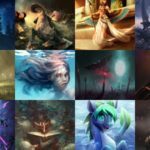 Whether you call it a lightbox, modal, popup, or window, jAlert is an excellent replacement / alternative for Simple Modal, FancyBox, or whatever plugin you’re used to. 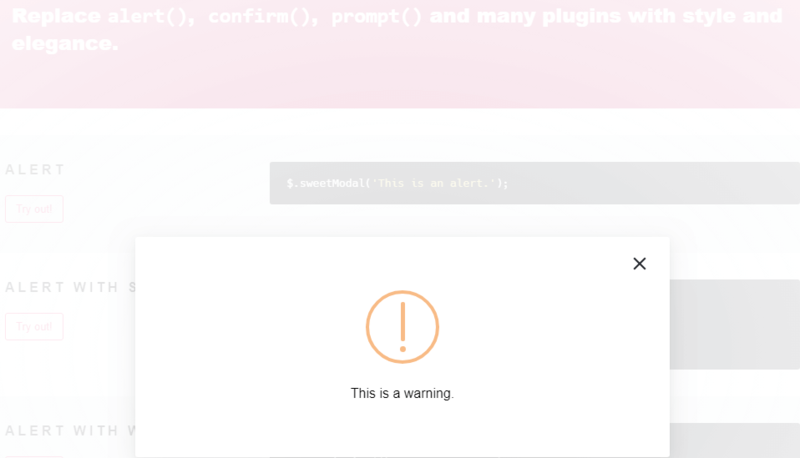 overHang.js is a JQuery plugin that displays sleek, instant notifications, confirmations or prompts inside a given element. 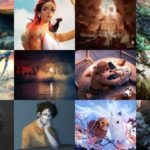 Make a confirmation bubble with jQuery and CSS. 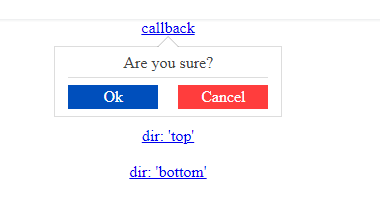 Confirm dialogs for buttons and links using jQuery and Bootstrap. 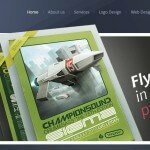 Bootstrap plugin for on-place confirm boxes using Popover. 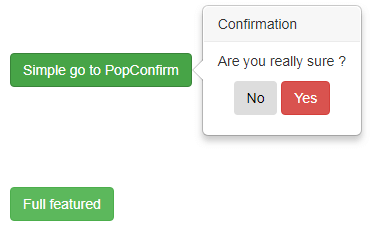 A simple action confirmation plugin for jQuery based on Twitter Bootstrap Popover. 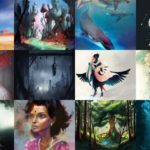 A jQuery plugin to confirm before opening mailto links.Confirm with users before opening any mailto link on the page through their default email client. 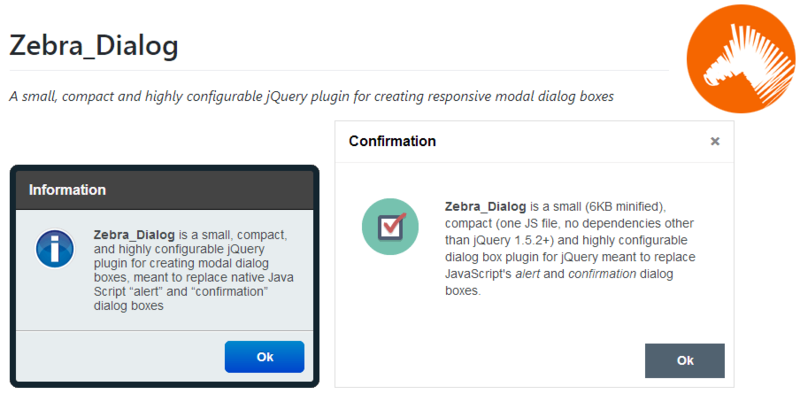 Lobibox is a responsive jQuery notification plugin.Lobibox is divided into two parts Messageboxes and Notifications.